BiFest Wales relies on the support of the venue, bands and musicians, volunteers, and companies who donate food and raffle prizes to make the event a success. Without this support we would not be able to run BiFest Wales and keep entry prices low. We’re currently looking for organisations, companies and people to donate their time, skills, or prizes to make the event a success. All supporters will be listed here with links to their website or any other contact details. As well as community, charity, voluntary or public sector groups or organisations to sponsor the event and have a stall. All non-commercial (public, charity, voluntary or community group sectors) can send us a maximum of 2 types of leaflets for the community information stalls at the event for free. Contact us for details. If you want to get involved and volunteer or help out in any way please email bicymru@yahoo.co.uk or direct message Ele Hicks on FaceBook. 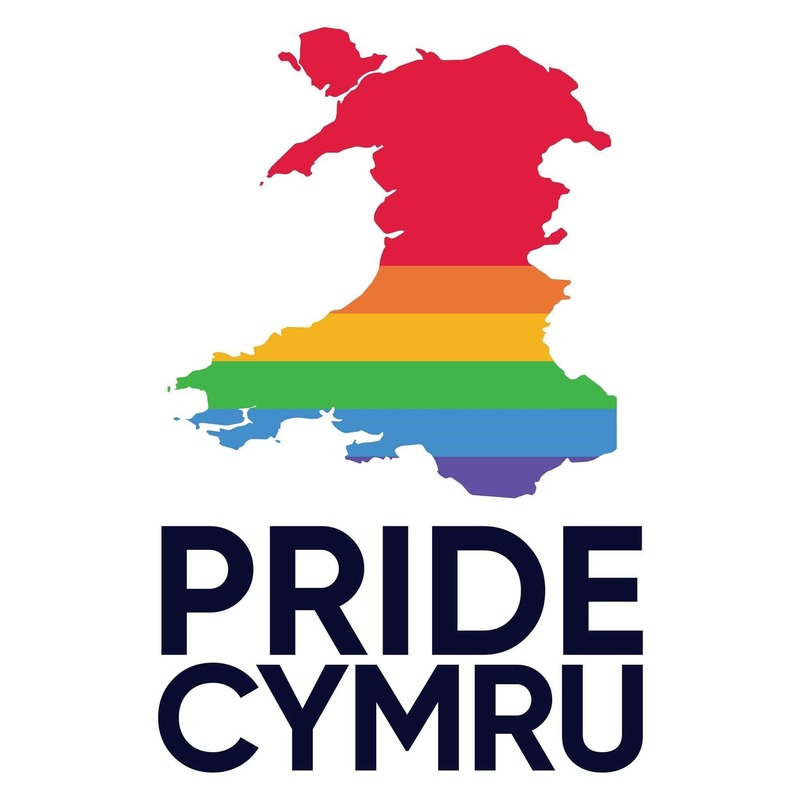 Pride Cymru are our main sponsor for BiFest Wales 2019. They also seek to work within all areas of the LGBT+ community in Wales and by co-production, engagement and partnering with other organisations have a programme of projects aimed at supporting specifically the LGBT+ community, but also aimed at developing links with the wider community. Their intention is to increase understanding and respect for all which will lead to a reduction in hate crime. Stonewall Cymru is a LGBT equality charity whose mission is to achieve legal equality and social justice for lesbian, gay, bisexual and trans people in Wales through campaigning, workplace, policy and empowerment work. Mae Stonewall Cymru yn elusen cydraddoldeb LHDT sy’n gweithio tuag at sicrhau cydraddoldeb cyfreithiol a chyfiawnder cymdeithasol i bobl lesbiaidd, hoyw, deurywiol a thrawsryweddol Cymru trwy gwaith ymgyrchu, gweithle, polisi a grymuso. Pride Cymru sponsored BiFest Wales 2018 by having a stall at the event. They also seek to work within all areas of the LGBT+ community in Wales and by co-production, engagement and partnering with other organisations we have a programme of projects aimed at supporting specifically the LGBT+ community, but also aimed at developing links with the wider community. Their intention is to increase understanding and respect for all which will lead to a reduction in hate crime. Our Welsh translator: Huw Garan (ieithgi@gmail.com). Swansea Bay LGBT forum and Swansea Pride helped us to promote the event. Unity LGBT Centre – sponsor – Their vision is to raise awareness of the needs of lesbian, gay, bisexual and trans (LGBT) people in Wales, to advocate for their needs to the wider community and to promote opportunities to LGBT people in Wales to enable them to fully participate in the lives of their community. To act as the voice of the LGBT third sector in Wales, based on a knowledge and evidence of real need, creating a positive and visible LGBT community. To raise awareness of the needs of the LGBT community in Wales and develop appropriate services where needs exist. To challenge negative stereotypes about LGBT people and combat homophobia, biphobia and transphobia. Everyone who donated prizes for the raffle including LazerZone, Vue cinema, Odeon Cinema, The Grand Theatre, and Nando’s. Without the support of bands and performers, who play for expenses only; donations of raffle prizes; donation of refreshments; and donations of design, printing and other support we would not be able to run BiFest Wales. We are also extremely grateful to everyone who ran workshops and volunteered for BiFest Wales 2016. As a community organisation with only a small income from donations Bi Cymru/Wales relies on the excellent support of local communities to keep entry prices low and run this event. All our registration and meet and greet volunteers and the walking bus. Everyone has been fantastic and performers, DJs, designers, photographers, volunteers and committee have all volunteered for expenses only, and sometimes not even that! Volunteers and the support of community groups and public sector organisations to promote the event and make it successful and deliver workshops are just as important to us as the musicians who play for free and the companies who donate raffle prizes. Unity Group Wales www.unityproject.org.uk and Andrew Davies for helping us promote the event, running a workshop, sorting food and raffle donations and doing anything we’ve asked! Every year we run a raffle to help to make BiFest Wales a success, keep entry prices down and any surplus supports the work of Bi Cymru/Wales, Bi Cardiff and Bi Swansea.